I was born and raised in New York City. Growing up in the middle of all the hustle and bustle, I was surrounded by many creative types and so much art. When I began going to school, I discovered my passion for beauty and makeup. Later on, this deep interest transformed into a love for false eyelashes (falsies) and lash products specifically. I work in the beauty industry and the reason why I love writing about cosmetic brands so much, is because I want the world to have an honest glimpse into what’s available, so they can skip making the mistakes I made when I first developed my interest in cosmetics. 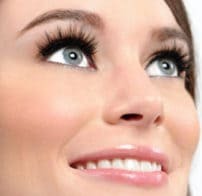 I have more than 9 years of experience and I’ve thoroughly done my research on many false eyelash brands and products. I love being able to offer a source of clear information for the readers of Alleyelashes, where I regularly blog about a large variety of eyelash related topics and cover the top brands in beauty.